■ L.A. Dodgers’ Manny Mota hit a foul ball off Giants pitcher Gaylord Perry in the bottom of the third at Dodger Stadium on May 16, 1970. The ball hit Alan Fish, 14, on the left side of his head. He died four days later. ■ Parts of a broken maple bat hit Susan Rhodes in the face on April 25, 2008 at Dodger Stadium, breaking her jaw. She sued the team and bat maker Rawlings, though eventually dropped the suit. The league put new rules in place about the use of maple bats, which were breaking about once a game in 2008. ■ A foul ball struck Wendy Whitehead, 39, in the temple during a San Angelo Colts game in 2010. She died a day later. ■ Shannon Stone, 39, died in 2011 while reaching for a foul ball during a Texas Rangers game. 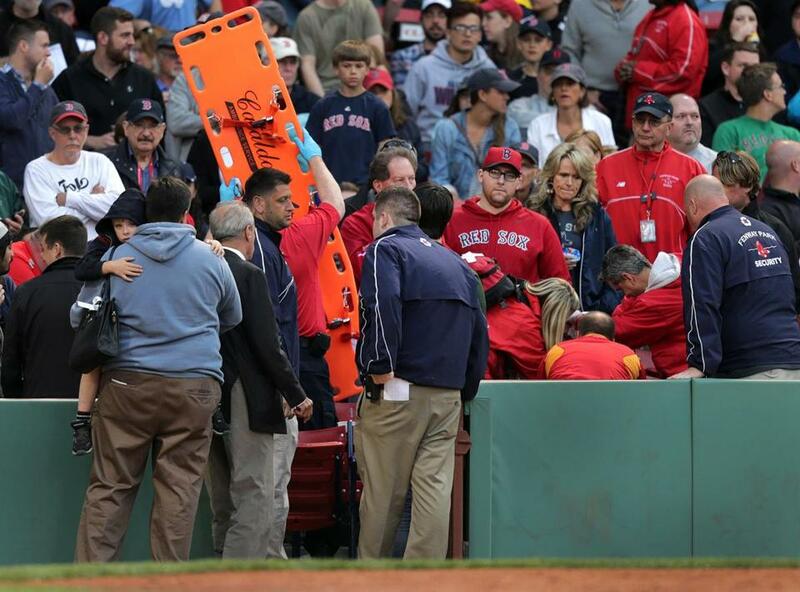 “I’m always telling them, ‘Watch the game, watch the game,’ because anything can happen,” David Ortiz said. 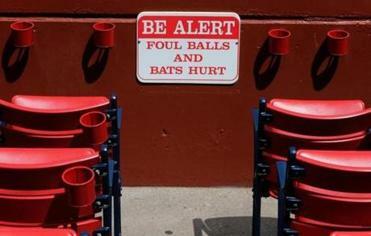 ■ In April, a Chicago Cubs fan was injured when rookie Addison Russell lost control of his bat. It slipped out of his hands, sending it into the stands. The fan was later taken to a hospital for treatment. ■ Brittanie Cecil, 13, died March 18, 2002, two days after getting struck in the head with a puck when the Calgary Flames visited the Columbus Blue Jackets. Her death led to the league adding netting at both ends of the ice for another layer of protection for fans. ■ Gerald Green was hit in the head with a puck last May when the Chicago Blackhawks hosted the Minnesota Wild. He filed a lawsuit against the league and the United Center. ■ Despite sitting behind a safety net, Patricia Higgins got struck in the face when the Blackhawks hosted the Boston Bruins in Game 1 of the Stanley Cup Final in 2013. Higgins later filed a lawsuit. ■ Three fans were killed after a crash in the 1998 US 500 at Michigan International Speedway. Six others sustained injuries. Exceeding 200 mph, Adrian Fernandez slammed into the wall, sending his right front wheel over the fences and into the stands. ■ Three fans were killed after a tire and other debris shot into the stands during the 1999 VisionAire 500K at the Charlotte Motor Speedway. Eight others were injured. After the deaths, the race was canceled and no longer included in the Indy Racing League. ■ Seven spectators were injured during the 2009 Aaron’s 499 at Talladega Superspeedway. Carl Edwards’s car flipped into the catchfence, causing the injuries. ■ About 30 fans were injured at Daytona International Speedway in 2013 during the Nationwide Series race. Ryan Larson and his car went flying into the catchfence after Regan Smith tried to block Brad Keselowski. Among other debris that was catapulted into the stands, a tire from the car landed nine rows back.